With a temperature of 60 degrees, Frey '04 moved up from 12th place at mid-race to run a PR of 2:16.48 . Look for Jacob's own race summary in a few days. 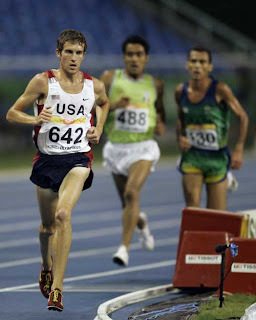 Last night Sean Graham became the second fastest 5K runner to attend W&M with his six second PR in Heusden, Belgium. This is the last stop in Sean's European tour. Come back later to see his blog on his last two meets. 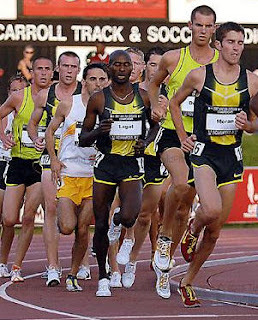 Click on the video above to see Graham '03 finish 4th (white shirt, short hair). Graham made a move into the lead on the backstretch, but was passed on the last turn. 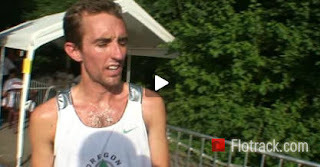 At the same meet Alan Webb ran a 3:46.91 mile which you can watch and click here for the post-race interview. Next up will be Frey and Moran at the Pan-American games and Graham will be in a big 5K next weekend. All three will have blogs on this site about their experiences. Graham ran a 7:47.69 (click on "loopnummers"), just over his PR of 7:46.9, to win the 3000 meter race at the Flanders Cup meet. The US T&F and XC Coaches Association named the men's team as one of the top 34 All-Academic teams in the US for carrying a 3.01 GPA. Two of the boys, Ian Fitzgerald and Keith Bechtol were also named to the national All-Academic team. Bechtol was also named the CAA athlete of the year. 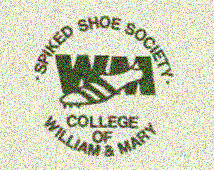 The women's team was likewise honored as one of the top 97 teams for its 3.21 GPA. 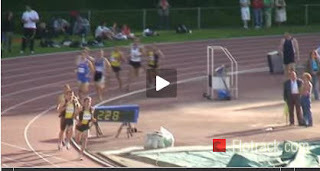 Also click here to see some great tv coverage of Webb's recent 3:30.54. Graham runs 3:44 at Memorial Leon Buyle meet in Belgium. 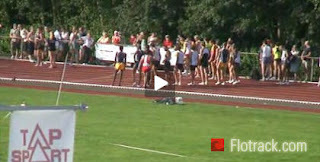 Sean Graham ran 3:44 (in white singlet in video above) on July 7th in his second European meet this season. 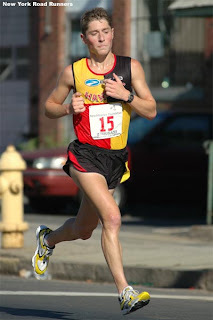 The race was won by NCAA 5K champion Chris Solinsky in 3:37. This summer we will have several guest bloggers, one of whom, Jacob Frye sent in this first installment about his excitement over making the Pan-American USA team. To bring you up to speed I was the last guy selected to represent the United States this summer in international competition. 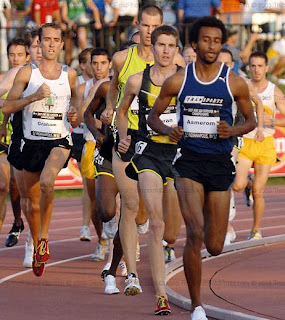 Getting that call from USATF probably made for the best day of my life, and I dont think the guy on the other end ever heard so many happy cuss words before. I was in the midst of finals preperation at Villanova Law School and nothing takes the edge off a nasty contracts exam like the thought of wearing USA. Im beyond psyched that Ed has also gotten a position on the team. He has told me that after he races he wants to shop till he drops, but maybe I can get him to do something a bit more manly. Read more.